A design and builder have been selected for Victoria’s massive West Gate Tunnel project. Today, Victorian Premier Daniel Andrews announced that a consortium including John Holland and CPB Contractors had been selected to build the West Gate Tunnel. The 4 km West Gate Tunnel will be the longest road tunnel in Victoria when it is completed. It will be a much needed alternative to the West Gate Bridge, cutting travel times from the western suburbs, Geelong and Ballarat. 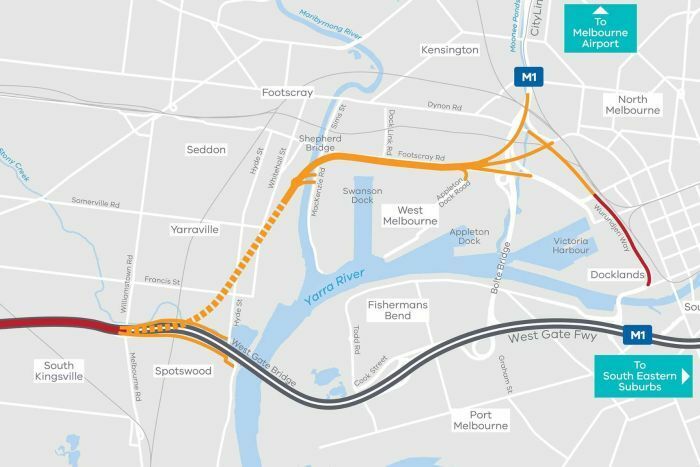 The design for the overall project includes two three lane tunnels, a second river crossing, and a new freeway above Footscray Road. The project will create 6,000 new jobs, including 500 apprentices, up to 150 jobs for former auto workers, and around 400 jobs in Melbourne’s west. Furthermore, the project will be built using 93% local content and around 92% local steel, which will create jobs right throughout the pipeline. Along with injecting thousands of much needed jobs in the region, the West Gate Tunnel will massively reduce travel times and congestion and allows for the implementation of a 24/7 truck ban on Francis St, Somerville St, Buckey St, and Moore St in the inner west. This ban will improve air quality, noise levels and safety in the area.